Sept. 3, 2018 - Members of the Iranian regime’s Majlis (parliament) once again summoned Foreign Minister Mohammad Javad Zarif on Sunday, saying they were not convinced over his response to the questions they raised two months ago regarding his visit to France coinciding with the Iranian opposition’s annual rally in Paris. “Why do you visit France, without an intelligence and security analysis, coinciding with the annual session held by the [PMOI/MEK] and enemies of the Islamic republic? They don’t allow [the Iranian regime’s state-run TV/radio] IRIB network and you fail to protest? “Result: … This question was raised in an official National Security & Foreign Policy Commission session… In response to this question, Zarif referred to the fact that "we cannot stop our diplomatic efforts," emphasizing "we made it clear in public and private sessions with French officials."  Furthermore, the [PMOI/MEK] is not of such stature for the Foreign Ministry to schedule its diplomatic visits based on this group’s activities. “Ghodusi was not convinced of Zarif’s answers… and the question is considered of national interest, to be evaluated in the first session of the entire Majlis. “Zarif: … Unfortunately, the [PMOI/MEK] have been holding their session each year in Paris ever since they were delisted from the terrorist organization list. We consider this event as a hostile measure by Western countries against the Islamic republic and we consider this as an unacceptable measure in support of terrorism. We have always made this position clear with the French government, including in a phone call that I had yesterday with the French Foreign Minister. “Karimi Ghodusi: … The Islamic republic allocates a budget and we have an embassy in France. The ambassador should provide you an analysis to come two days later, two days earlier, or even return, to not coincide with this session held by the ‘hooligans’ with assistance provided by France. You didn’t even issue a formal complaint. When did I say stop your diplomatic efforts? Why do you raise such allegations against me? I never believe in such things. The coinciding nature of your visit raises questions. It happened yet again and the French government had their Foreign Minister give an interview yesterday, saying Iran cannot expect to engage with us without accepting negotiations over its missiles and its role in the region. This is not acceptable.